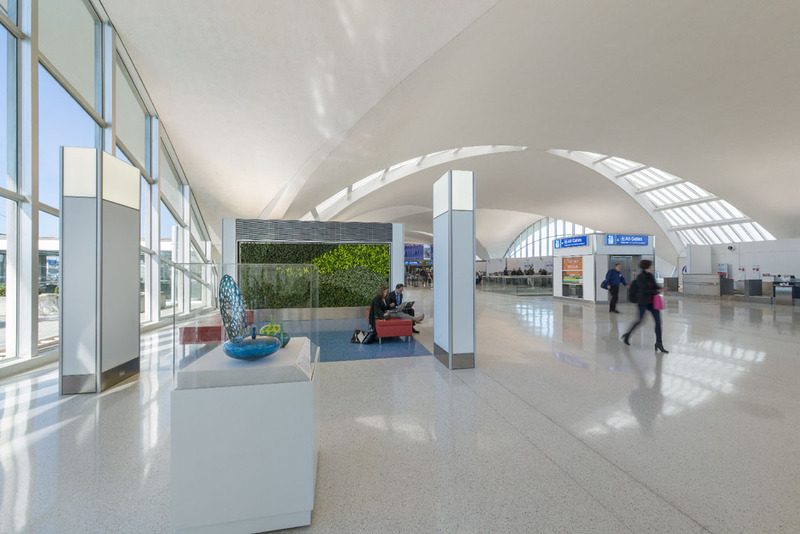 EXP designed the renovation and transformation of Minoru Yamasaki’s iconic Terminal 1, a mid-century masterpiece, at St. Louis Lambert International Airport. 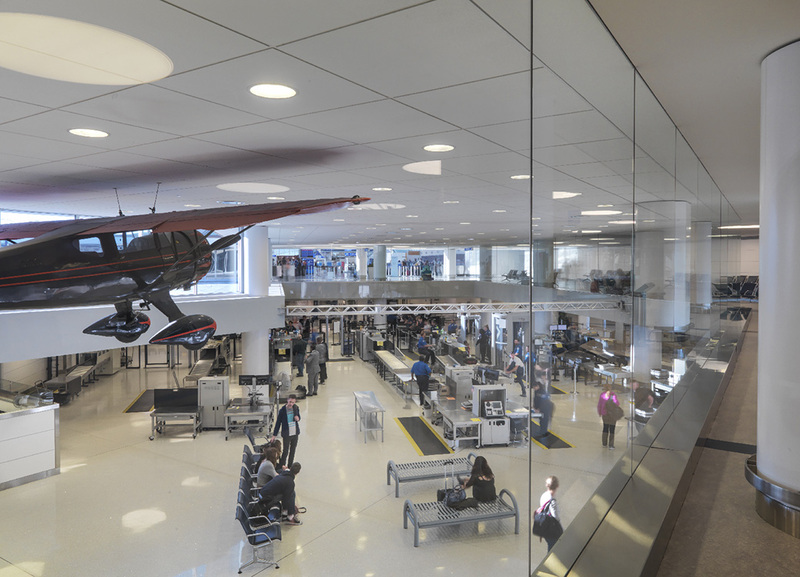 The result is a simple, uncluttered and bright design that highlights the terminal’s simple elegance while seamlessly integrating new technology, new security systems and updated TSA baggage screening processes. As part of the Airport’s larger “Airport Experience” improvement program, the thoughtful and integrated terminal modernization and transformation brings renovation of the ticketing hall and public areas, as well as the airline ticketing offices, departures curb, arrivals hall, passenger security screening checkpoints, mid-level and baggage claim areas. The incorporation of public art was also integral to the new design. The design revives the simple elegance of Yamasaki’s original design and restores the monumentality of this iconic terminal in a fresh, contemporary space that improves services and convenience to today’s hurried travelers.